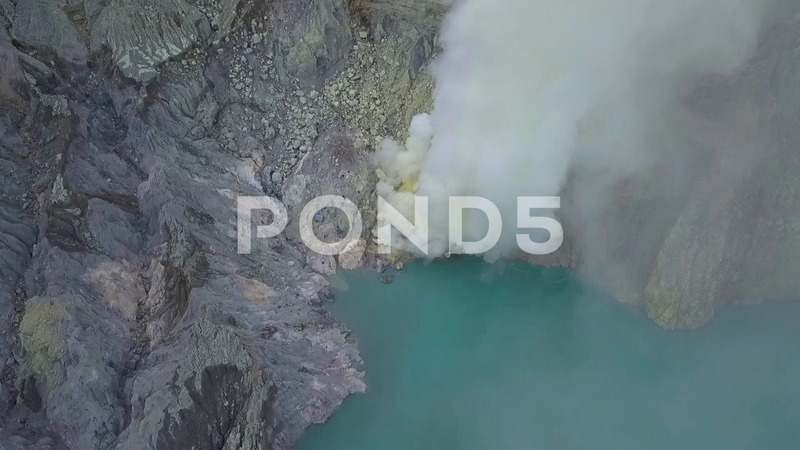 Drone Shot Inside Of Ijen Volcano Framing Burning Sulphur. Indonesia. Description: Kawah Ijen Volcano Crater the famous tourist attraction of Indonesia in Asia.